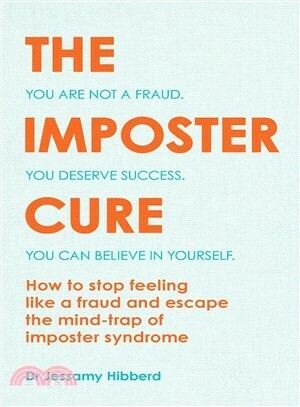 A solution-based self-help book that explores the psychological impact of imposter syndrome. Imposter syndrome is a phenomenon in which people believe they are not worthy of success. They convince themselves that they have done well due to luck and are terrified their shortcomings will eventually be exposed, making it impossible to enjoy their accomplishments. You've Got This explores the psychological impact of imposter syndrome and exposes the secrets fears and insecurities felt by millions of men and women. Dr Jessamy Hibberd provides sound expert advice to help the reader better understand theproblem and overcome it, so they think differently, gain self belief and learn to see themselves as others do. Filled with case studies to bring the concepts alive and packed with strategies to increase confidence, this book is a must-read for anyone who has struggled with their achievements. Dr Jessamy Hibberd (BSc, MSc, DClinPsy, PgDip) is a highly respected chartered clinical psychologist, author and commentator. She has 14 years' experience working in mental health (within the NHS and in her own practice), and is passionate about psychology and the benefits it can bring.